Russia’s bet on technoparks: from goldmines to white elephants? Unless the spirit of free entrepreneurship—the only prerequisite to having a so much coveted home-grown ‘Silicon Valley’—is allowed to reign in Russia’s real estate projects for innovation, many of the domestic technoparks are running the risk of becoming white elephants proudly walking right into an utter failure. The Russians are a nation of the dogged; so much has been pulled off against overwhelming odds in the history of this country (not everything to its advantage, though). And the Russians are a nation that tends to fall as deeply in love with an idea as bluntly this idea is declared a no-go elsewhere in the world. Sarcasm aside, all this can be distilled to the Russian government’s wish for western-style modernization. Nine years ago it announced it would not only talk the talk but was also ready to walk the walk: between 2007 and 2014 about $1bn was spent to support sizable technology park projects in 13 regions, some literally from the dirt up. By 2013, there were almost 90 technoparks of various sorts registered in Russia, including 13 tagged as a national priority. Some, like Academpark in Siberia, IT Park in the Volga region of Tatarstan, or Zhigulevskaya Valley, another Volga technopark not far from Samara, or TechnoSpark just outside Moscow, have already gained national recognition. As more and more of these spring up across Russia, on paper or physically, observers are getting increasingly interested to know if the multimillion dollar projects are really something more than white elephants for regional governors to brag about. Some of them aren’t, as analysts from Russia’s development institutions have to admit. Those boondoggles have devoured a fortune but ooops… still look lifeless because there is hardly any ecosystem built around them. With little or no clear prospects for bringing products to market—a plague that cripples innovators as a result of feeble or just barely existent demand for innovative solutions from large Russian corporations—technopark residents just wind up operations, leaving it to the management of these huge real estate ‘skeletons without flesh’ to hire out office or construction space for a fee. Innovators that do stay to scramble with negligible investment oftentimes compromise the quality of their R&D. In a catch-22 situation, Russian companies that would be happy to buy domestic tech solutions have to go look abroad—because only 15% of innovative products made in Russia fully meet the requirements of businesses, Higher School of Economics experts found. Word came earlier this year that the federal government had decided to address the core deficiency. 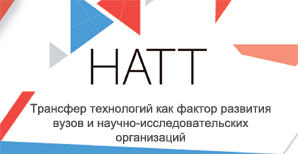 A resolution is being drafted to compel state-owned companies in Russia to love innovation and, starting from January 2016, allocate at least 2% of the value of their procurement contracts for the purchase of innovative products, including at least half of that for high-tech products from small- and medium-sized businesses (the key residents of technoparks). By 2018, the government is said to be considering goading stronger passion for innovation in state-owned companies, and requiring more allocations. There are two things that come to mind when thinking of apparently progressive initiatives like this one. But even if the government ratchets up pressure and makes its ‘horses’ ‘drink’ from technopark activity, it’s a philosophy of innovation that the masterminds of Russia’s technopark concept may still overlook (as they have so far). 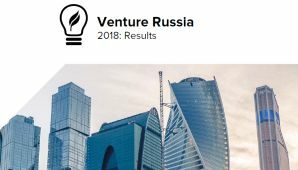 Unless the spirit of free entrepreneurship—the key prerequisite to having a so much coveted home-grown ‘Silicon Valley’—is allowed to reign in Russia’s real estate projects for innovation, the domestic white elephants of technoparks will be proudly walking right into an utter failure.